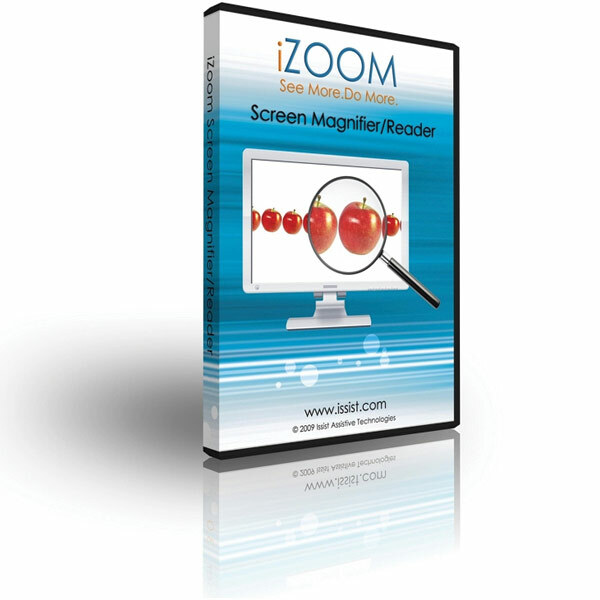 The iZoom Screen Magnifier and Reader delivers screen magnification like you've never seen before. Its ClearPoint font smoothing maintains crystal clear text quality regardless of zoom level. iZoom makes viewing web pages and emails easier than ever with SmartAlign, which allows you to read paragraphs extending beyond the screen without having to scroll horizontally over and over. 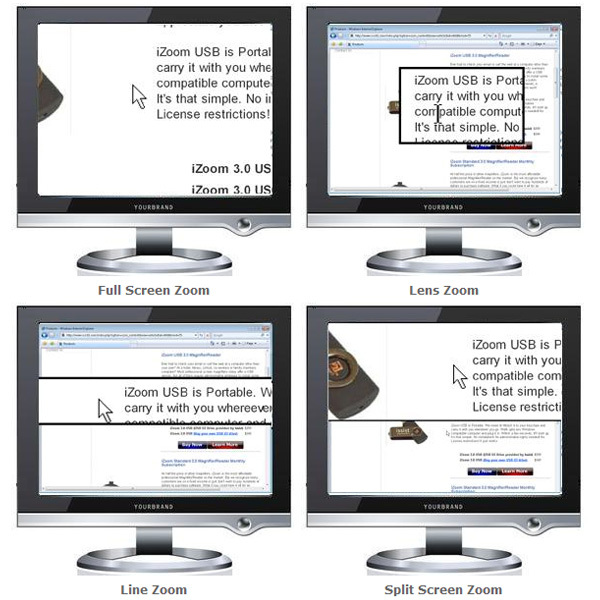 iZoom can magnify your screen from 1.5x to 36x. 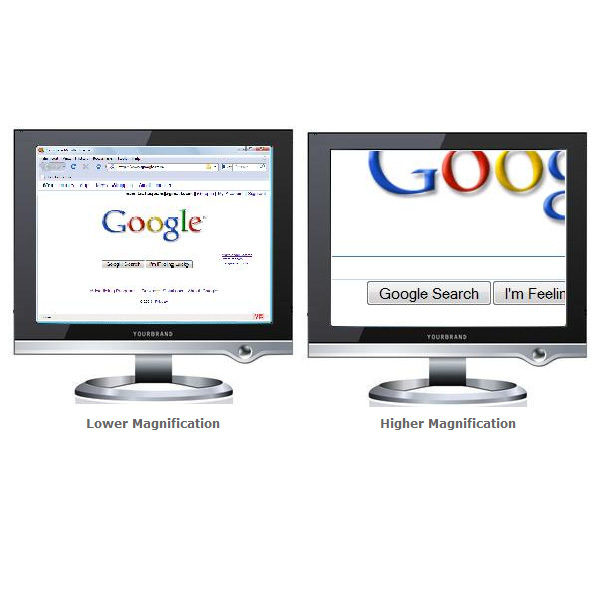 Fractional magnification technology allows 1.5x and 2.5x magnification levels, so you can pick the setting that works best for you. 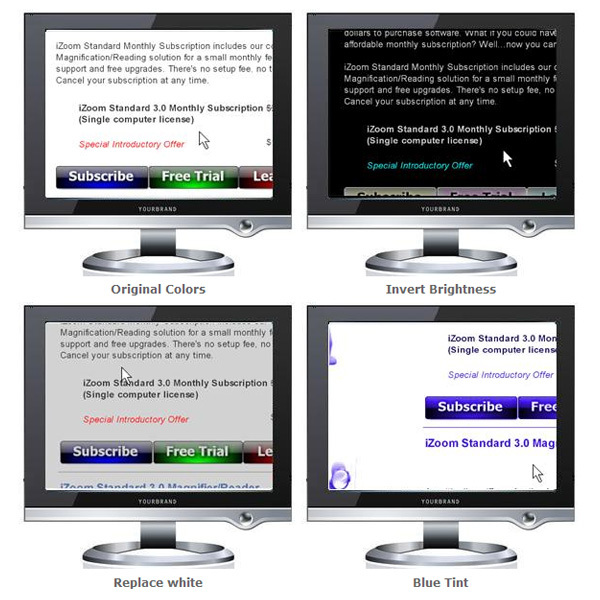 Zoom into areas of the screen that are difficult to see, reduce glare, or use the color and contrast options to customize your screen for your ideal viewing experience. You can also enjoy using the internet and reviewing documents without seeing the computer screen. iZoom is a screen reader featuring speech technology that will read aloud to you text on the page, including web pages, emails, news articles and more. 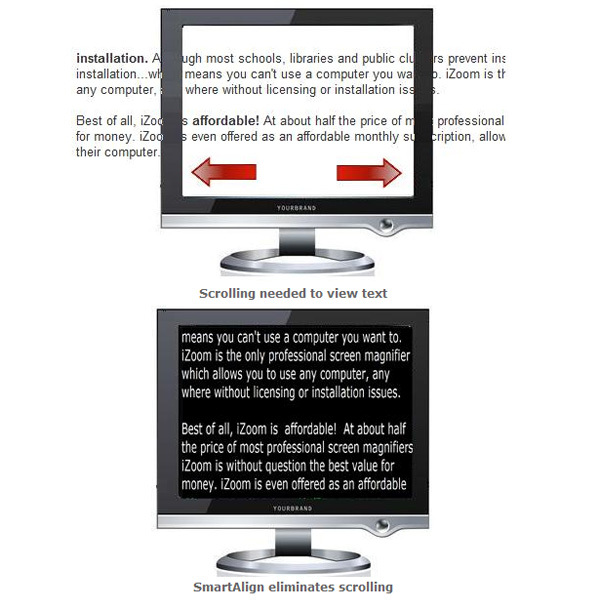 The CD version of iZoom incorporates groundbreaking screen magnification/reading software into an easy to use package. It's perfect for individuals who primarily use only one computer. If you often use more than 1 machine, we recommend iZoom USB.